How are you guys doing today? I thought that mother nature was slowly making spring appear here in Toronto until she bombarded us with snow Saturday night. Okay, so it wasn't that much and it melted by morning, but no one wants to see that when we thought it was gone! At least the temperature is in the plus instead of the negatives! That's always a good sign right? Yay for warmer weather! 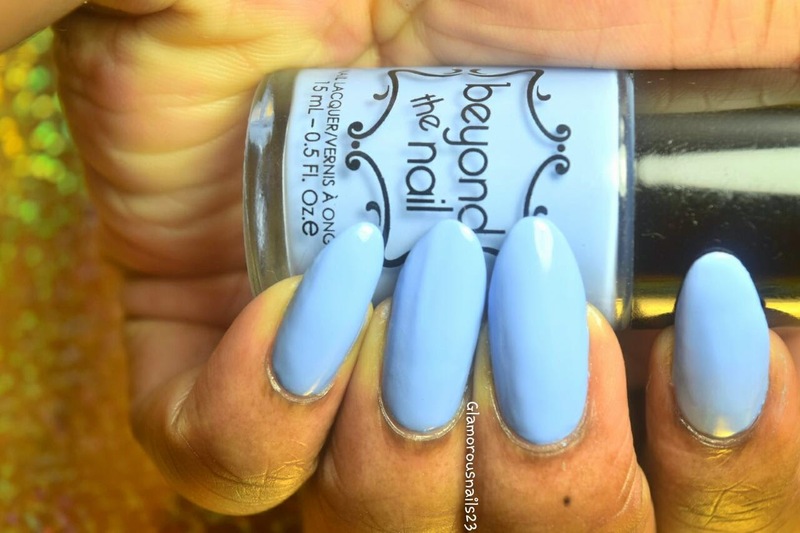 Today is another indie polish day! See I'm keeping my word. 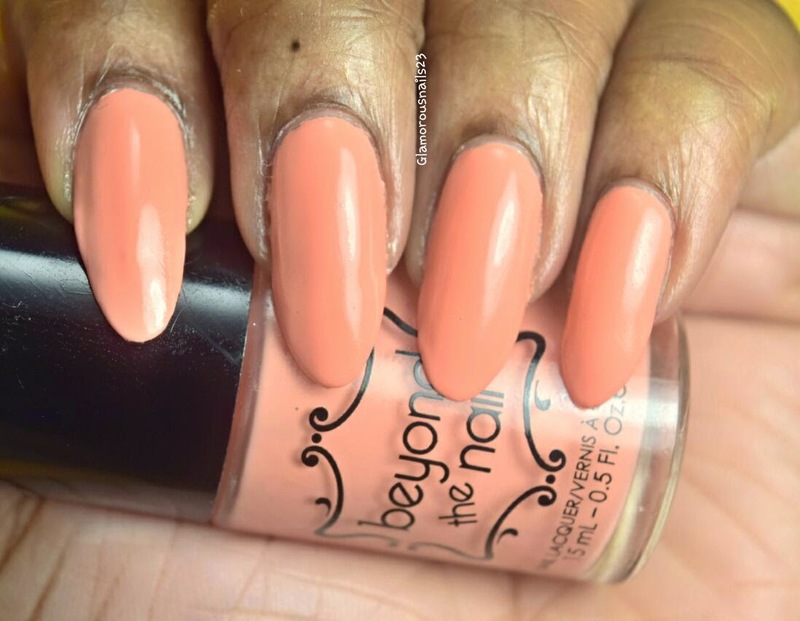 Today's collection is from a brand called Beyond The Nail and @beyondthenail (on instagram). 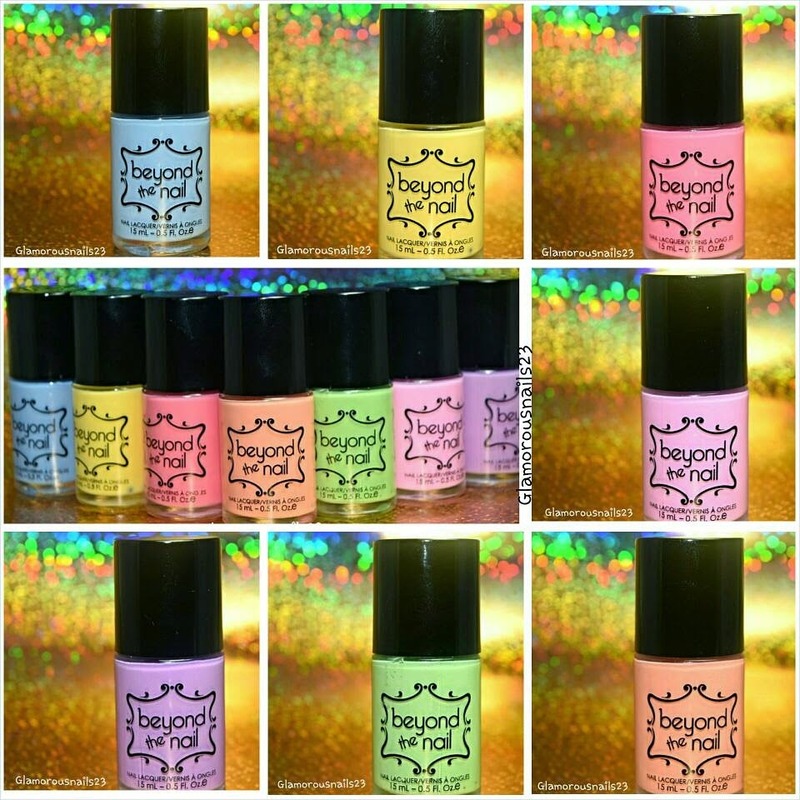 I have actually been creeping them out (along side some other fabulous indies) since I started doing nails and have finally decided to place an order with them! The other awesome thing about them (well for me anyways) is that they are located in Toronto. Well Mississauga to be exact. So if I wanted to I could just drive down to where there shop is and pick up my order. 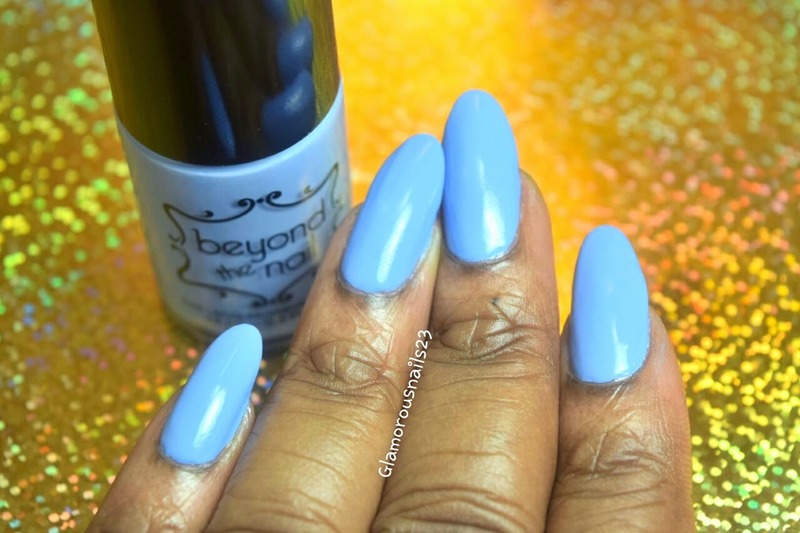 But don't you all worry they also ship to the U.S.
First up from the Spring Collection is Spring Blue is a pastel blue creme polish. 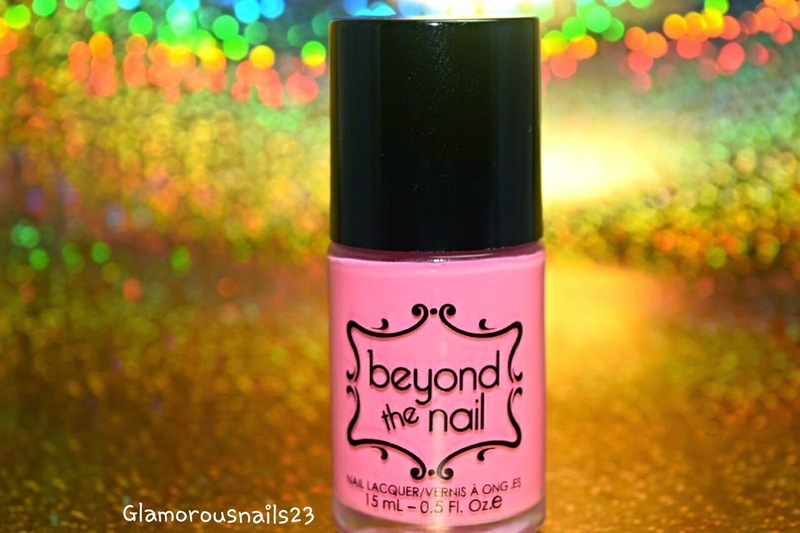 The formula is very smooth and application was a breeze. I really am liking this color. 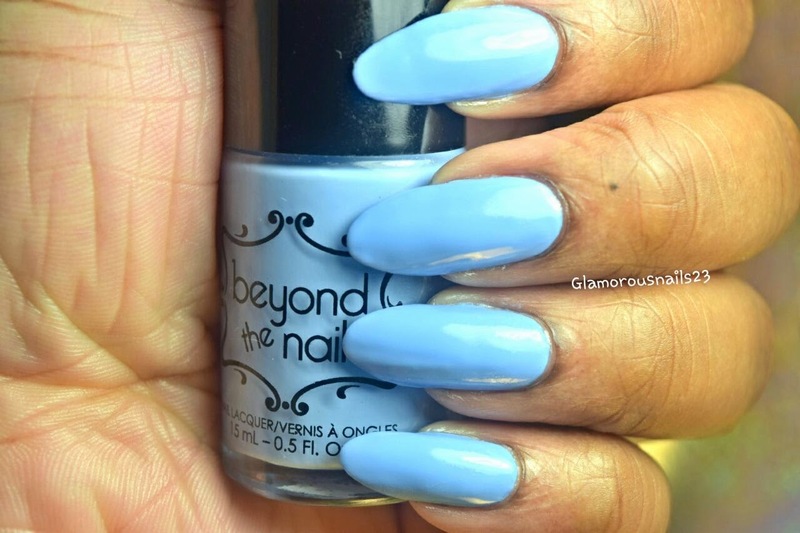 The polish was opaque in two thin coats and topped off with a top coat. 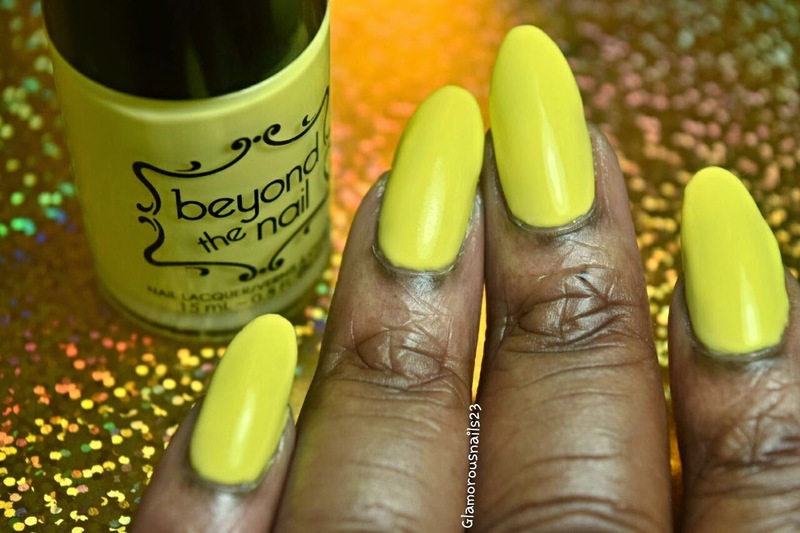 Spring Yellow is up next from the Spring Collection by Beyond The Nail. 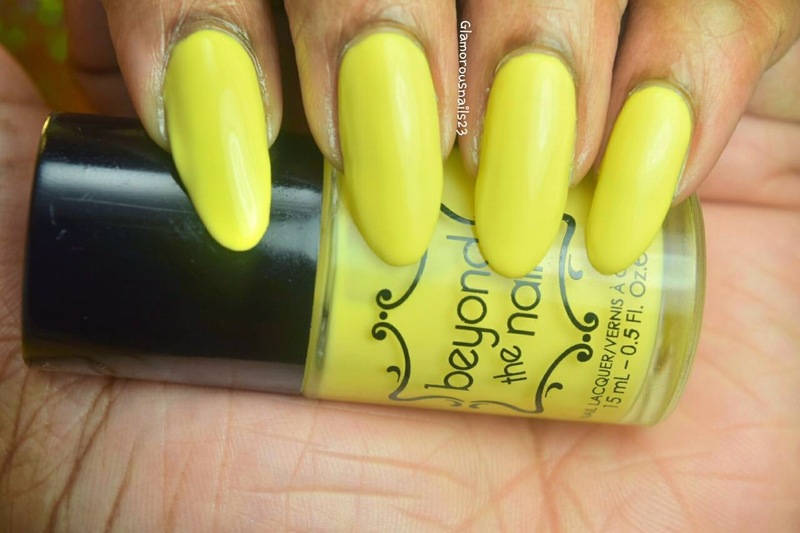 Spring Yellow unfortunately was a little bit more on the thin side that the rest of the polishes in this collection, but it does build nicely. 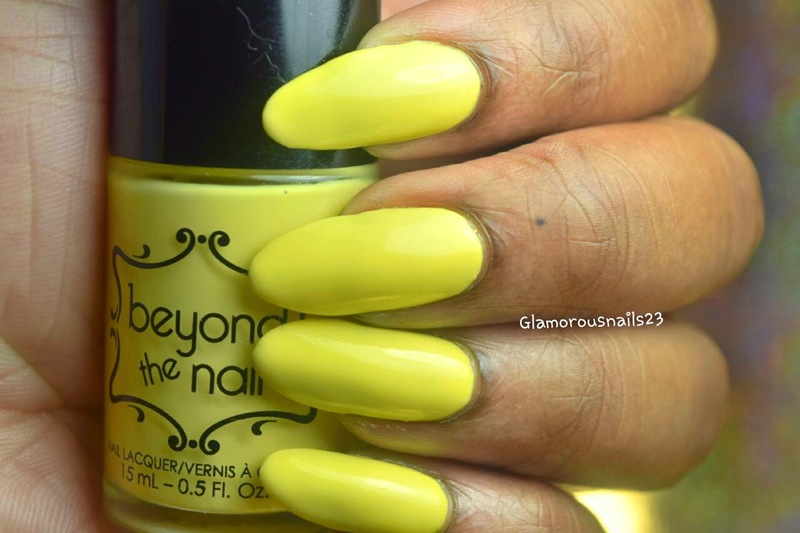 This polish is a bright creme yellow that just screams spring! Spring Yellow also dries fast which helped with the application process. 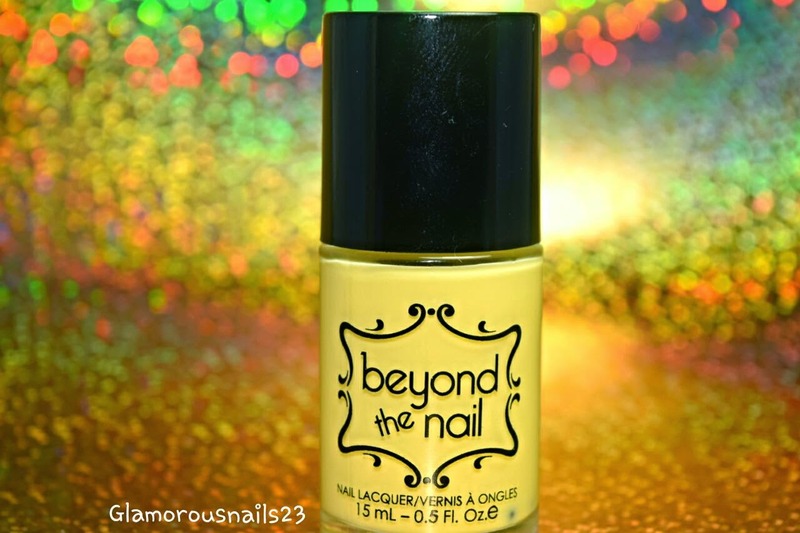 Spring Yellow was fully opaque with 4 thin coats and a top coat. You know what this color reminds me of? For those of you that live in Toronto or have ever visited it reminds me of the No Frills Shopping Bag color. I really like the yellow of that bag lol. Spring Red is a pretty red creme polish. Although the name states red to me it seems like it has more of a pink undertone to it. I guess you could say that it leans more towards the coral side. The formula is smooth, gave good coverage and builds nicely. I absolutely like this color. It's beautiful and vibrant for spring! This one was opaque in three thin coats and I used a top coat. 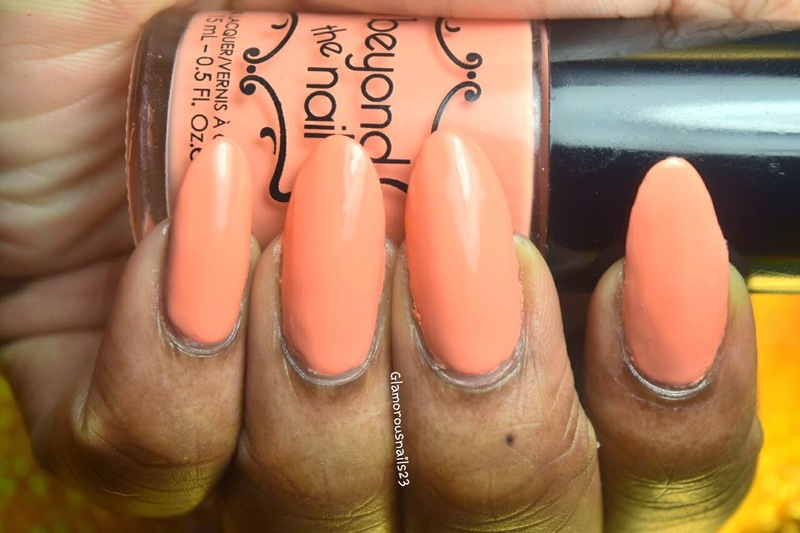 Next up is Spring Orange. 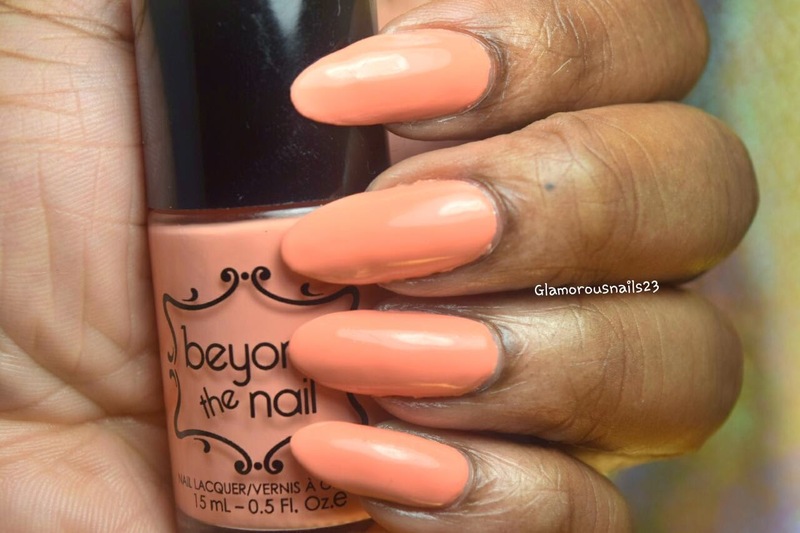 Spring Orange is an alluring creme pastel orange. This is color is more of a peachy orange. None the less it's still quite pretty. 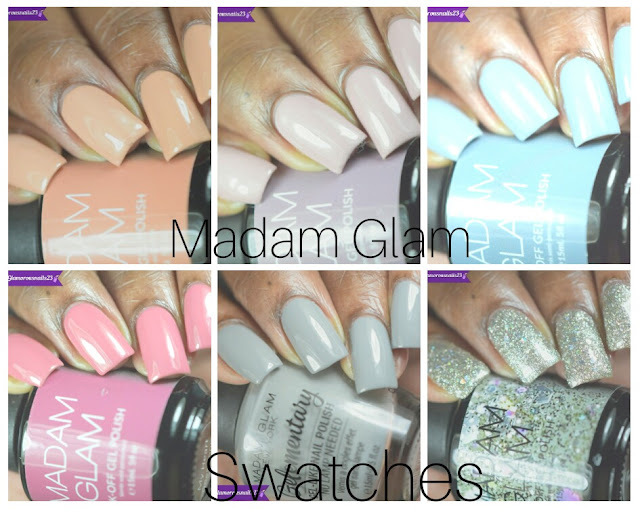 The formula is smooth and it builds nicely which helps to make the application process easy peasy. 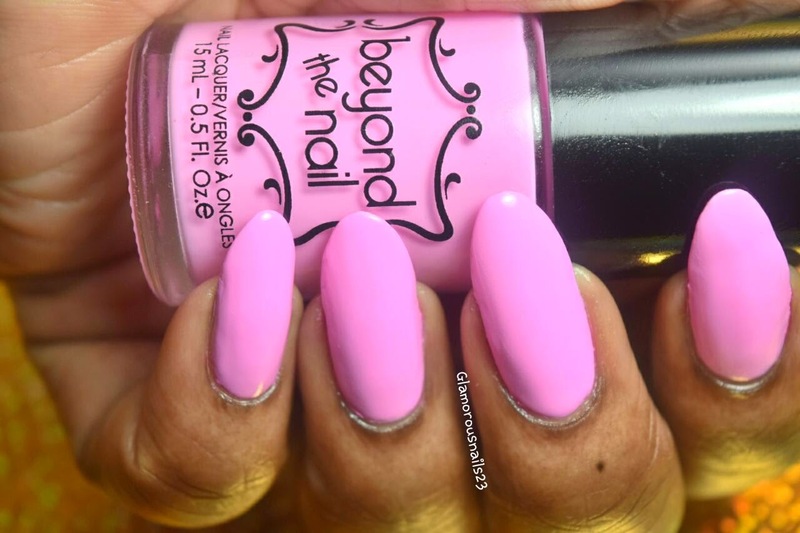 To reach full opacity I used three thin coats with a top coat. 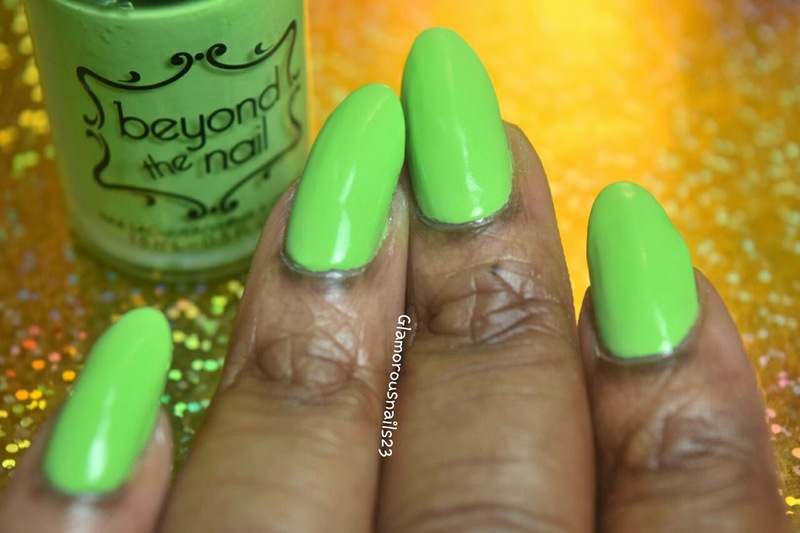 Another polish from this Spring Collection is called Spring Green. 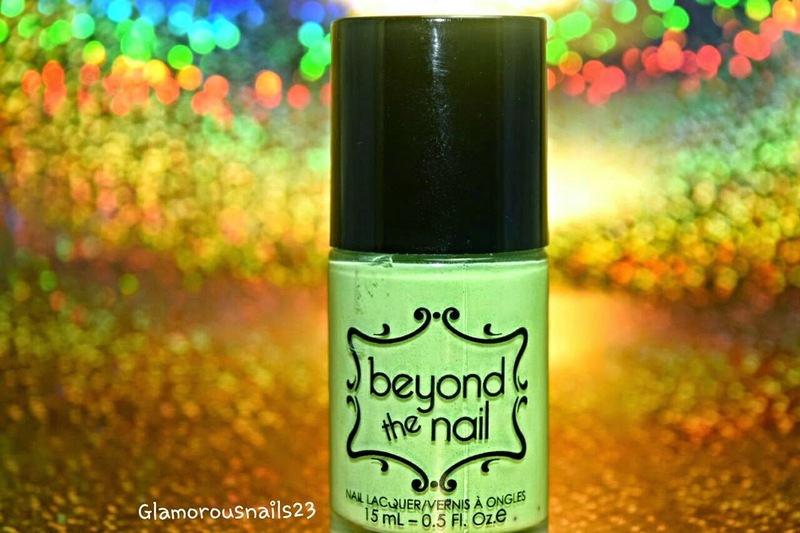 This beauty is a pastel green creme polish that has a very smooth formula. 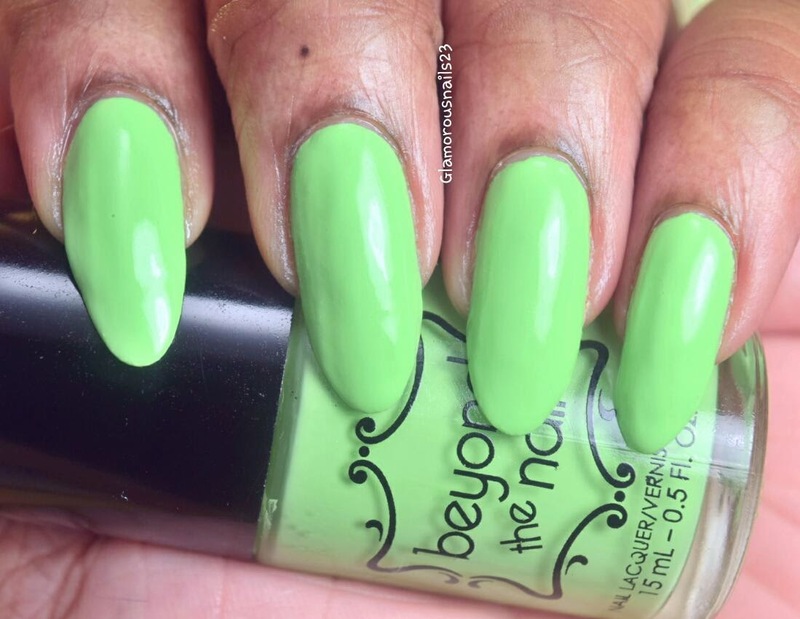 This color is perfect for spring and makes my heart all happy inside when I see it lol. 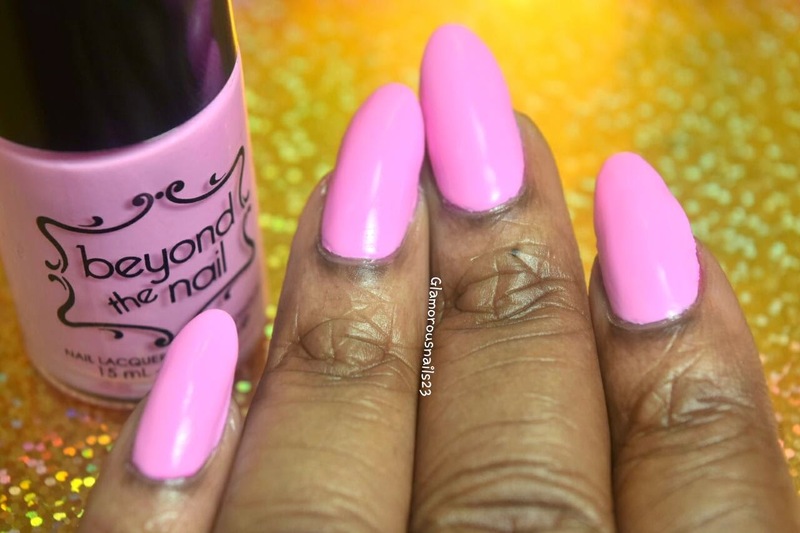 I used two thin coats to reach full opacity and finished it off with a top coat. 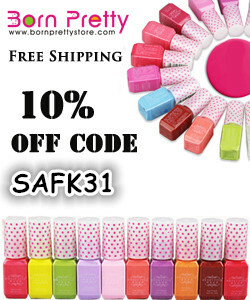 Spring Pink is an energetic pastel creme pink. 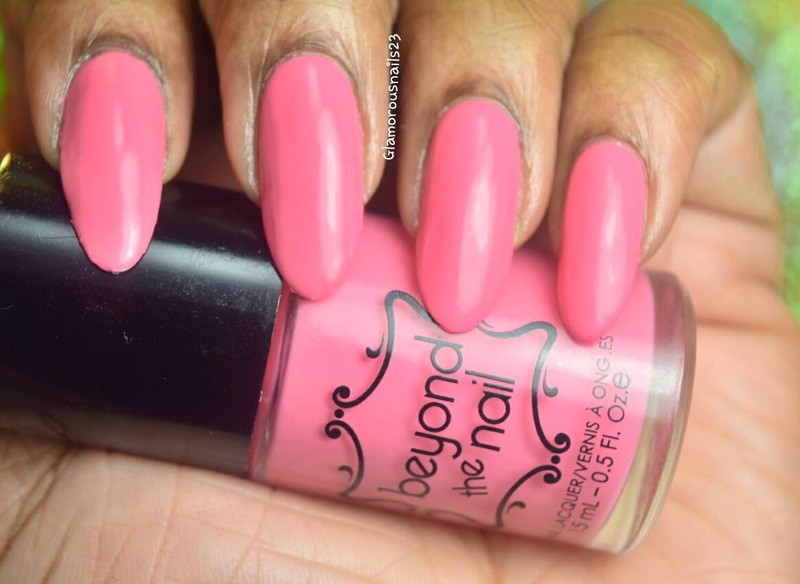 This color is bright,stunning, and absolutely perfect for spring or summer. The color reminds me of pink bubble gum or even cotton candy. 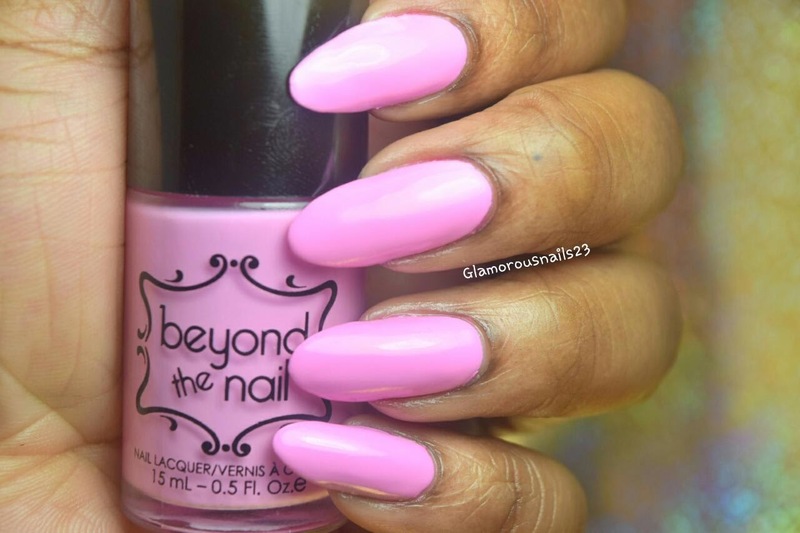 Spring Pink has a creme formula and has definitely won me over. 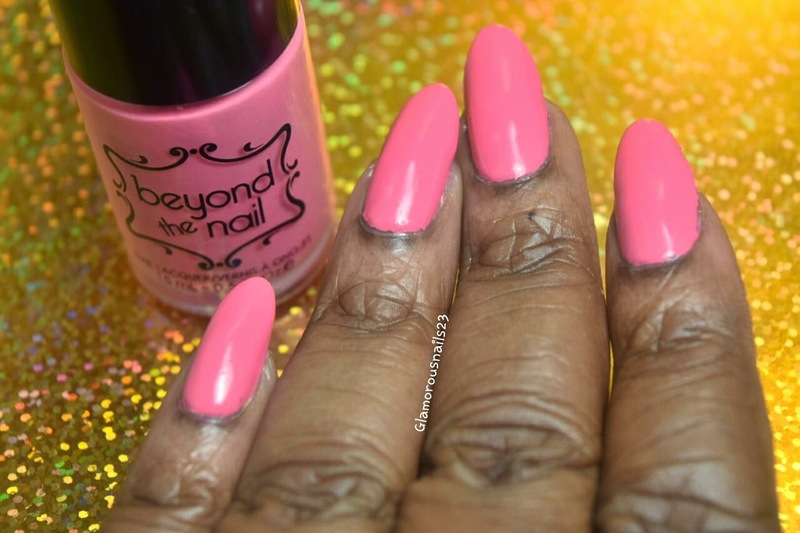 For full opacity I used three thin coats with a top coat. 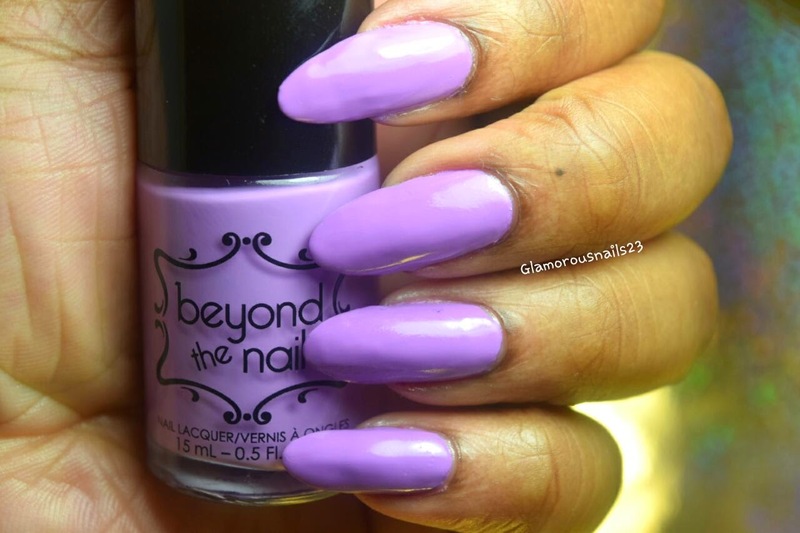 Last but not least from this wonderful collection is Spring Purple. 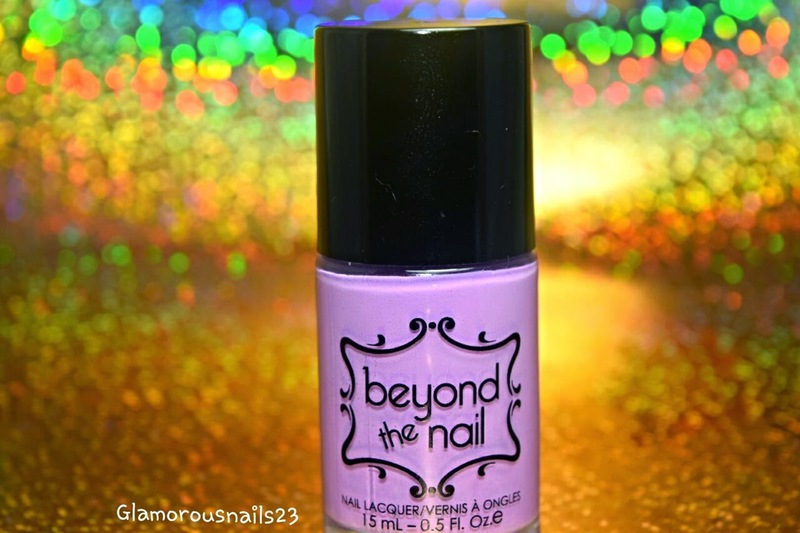 Spring Purple is a radiant purple pastel creme polish that is smooth and has good coverage. 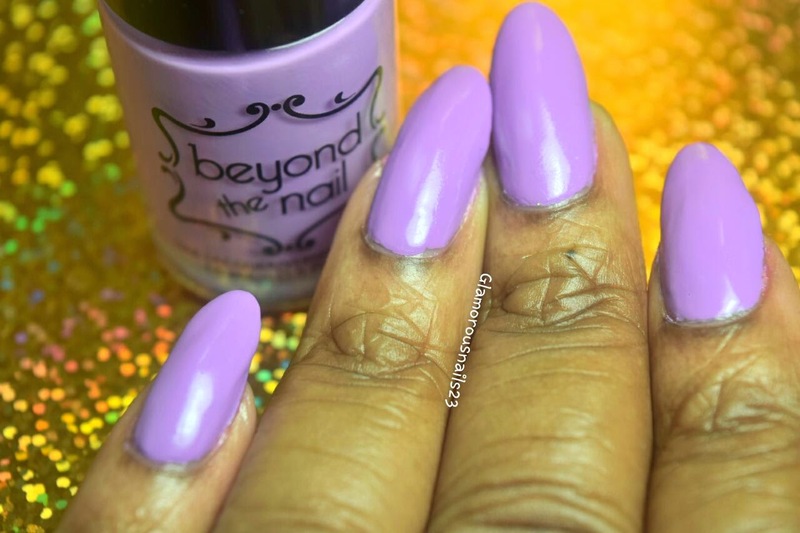 You guys should all know how I feel about the color purple so I really don't need to get into it on this post lol. But just look at it! Spring Purple builds nicely and has good spread ability. 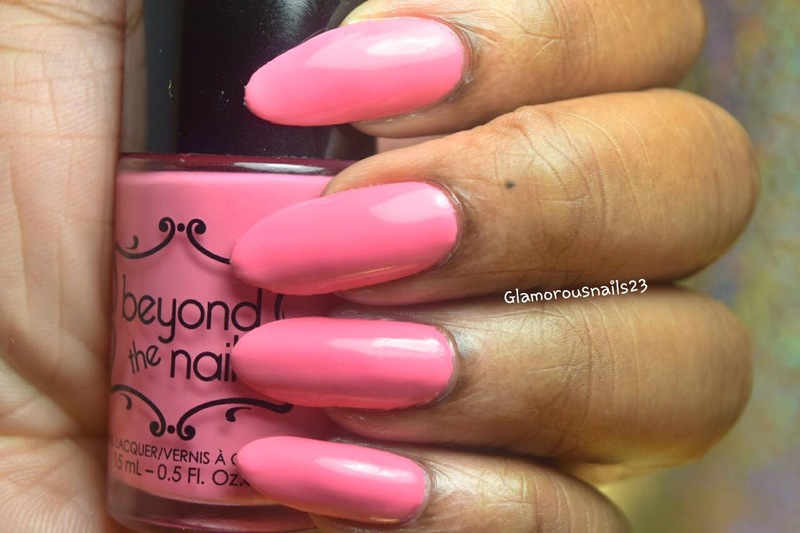 This polish was opaque with three thin coats and topped off with a top coat. This collection is just wonderful. I can't pick a favorite (even though purple is my favorite color and the yellow was opaque in four thin coats), so I will just have to say that I like the entire collection! 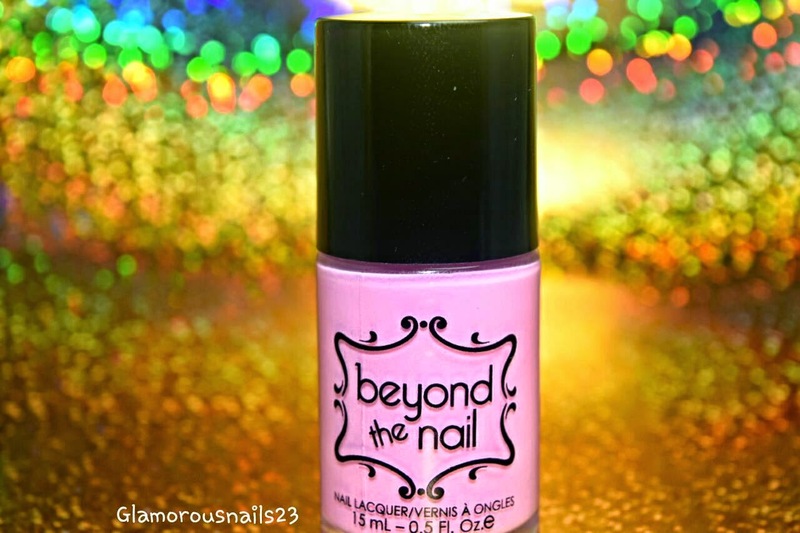 Have any of you ever tried any polishes from Beyond The Nail? If so which ones? Yes it is. These ones are just lovely. Ahhh thanks! Didn't know about that one! Love the pink, orange and purple! They look like great cremes! !